Lindiwe feels strongly about girls in part because of her own struggles growing up with very little money. Her mother is a widow, and Lindiwe remembers going to school hungry, without shoes, and without a single pen or pencil to write with. She wants to be a role model to show girls what is possible when they persevere in education and work hard. 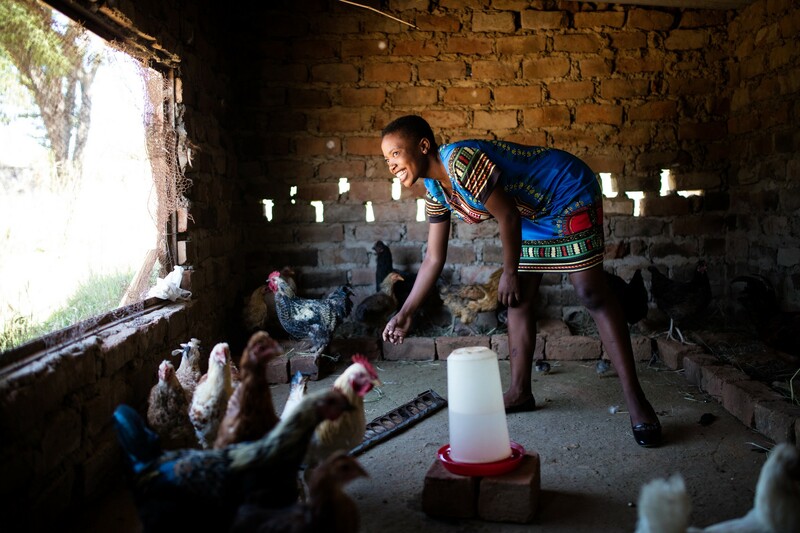 Lindiwe now operates 3 businesses in her village — a poultry business, a small shop and Lee Juice — all under an umbrella company she named Lee Investments. Her business savvy and work ethic is clear in everything from her bookkeeping to her pricing. “I did market research and thought about what people wanted,” says Lindiwe. She thought about the thirsty laborers working at the mine near her village and asked herself how she could have a competitive advantage for something they needed. So she started making her own juice and soda from scratch, and priced it at half the price they would pay for a national or international brand. Her plan worked. 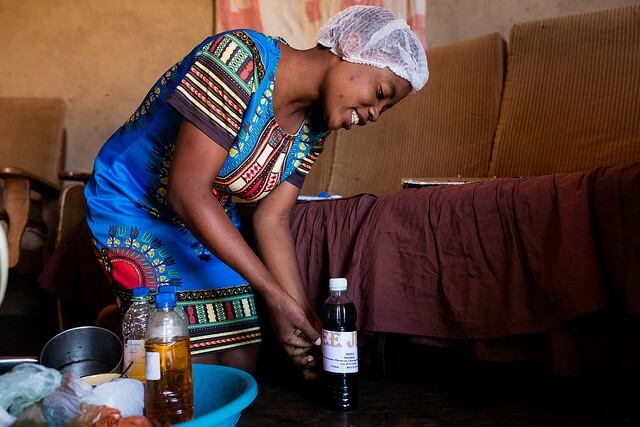 With the business training and guidance provided by Kiva’s Field Partner Camfed, and a $500 loan crowdfunded on Kiva by 11 lenders, her business grew quickly. Lindiwe leaving her store, where she sells Lee Juice, dried goods and home staples like soap. Through Camfed’s unique lending model, Lindiwe doesn’t pay any interest on her loan, but instead volunteers as a mentor and teacher for other young women in her community. 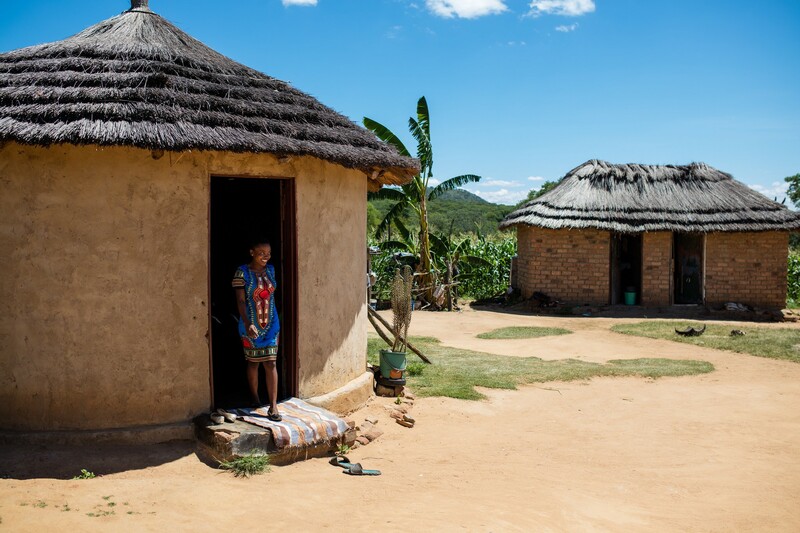 It’s a way of paying social interest on the loan, but it’s also something Lindiwe loves doing. “Helping girls to stay in school, helping them to achieve what they want in life, that is my favorite part,” she says. 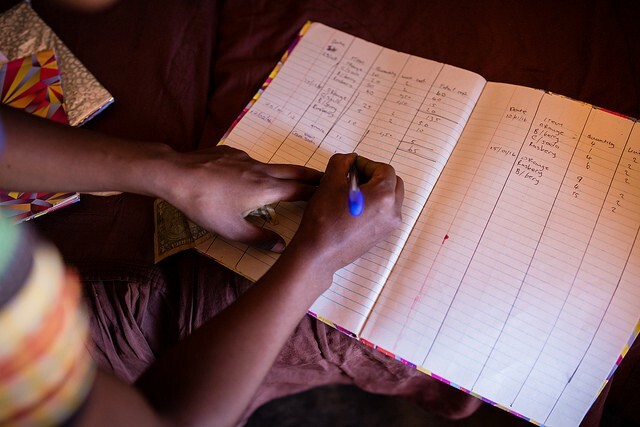 The loan also motivated Lindiwe to create her first savings account, a mobile banking account controlled through her cell phone. She likes keeping her money in the account, instead of in the house, so she can be deliberate about how she spends it. With her business success, Lindiwe has seen a change in how she feels about herself, and her standing in her community. Lindiwe is currently training 1 woman from her community to work with her, and has started saving $10 each month from her profits for her future. With the rest of her profits, she wants to expand her production and also add a large run to her poultry house. Her advice to other young women around the world who want to be successful is to work hard and don’t have regrets. It’s advice she will repeat to her own first child — boy or girl — due this summer. To support other inspiring, entrepreneurial women from around the world on Kiva in celebration of International Women’s Day, visit kiva.org.